I’ve been engaged in other creative projects over the last few weeks, which hasn’t left very much time for working on my current WIP. I’d really love to have this draft of the project completed by the time I begin my time as a MA Creative Writing Student! I was quite surprised to find that this book was out years ago, almost before I’d even headed off to university, yet I hadn’t heard of it before. It’s an interesting one. 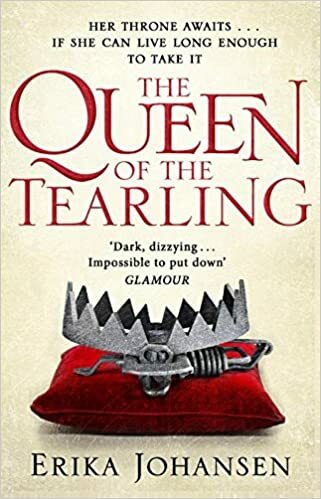 The heroine is slightly less charismatic than others you might have seen in YA Fantasy, with her short and less than slim appearance adding a little flavour to proceedings that have often been a little too straightforward. There’s no perfect Mary Sue here. Even better, there’s both magic and political drama. This one is quite a hefty book and I really enjoyed reading it bit by bit over the course of several days while on holiday, including in a conservatory with the rain pouring down. Very atmospheric (and very typical weather for the North of England sadly!). YA Fantasy still isn’t really my thing, not really, as I’m more of a fan of paranormal or science fiction in terms of the young adult books I read. Still, it made a nice change. One of the trickiest things regarding my feelings for this one was the fact that it’s a trilogy. Please, no. I have strange feelings about trilogies. There’s something special about picking up the same characters and settings multiple times but in this case I would have much preferred it as a standalone or a duology. I understand there’s practical and pragmatic reasons for having so many trilogies but… sometimes I just want a story that has a complete ending in the course of one book. The ending was a great point to pause, at least. Will I be picking up the next book in the series? I’m not sure. I enjoyed the ride, but I’m not sure I have it in me to read another seven hundred pages or more. It’s been about a fortnight since I finished reading and I’m not burning to know what happens next. Perhaps I’ll change my mind and give it a go! Here’s a look inside my TBR pile! I love posts like this from other bloggers as it’s great to see what people are interested in reading (and hopefully get some suggestions of what else might be fun to take a look at). This one came out last year, I believe. I quite enjoyed the first two when I read them and decided it’d be great to complete the trilogy – especially as this is a potential comp title for something I’ve written. As there’s not very many books like it I can think of, I thought it’d be a good idea to have a look and make sure I’ve differentiated my story from the other ones available. Having seen the author on Twitter discussing her Pitch Wars experience over the last few days, I’m even more excited to dig into this one. It’s great to get an understanding of people’s writing experiences, I always find that so interesting! Again, one I know very little about but added to my tbr pile based on the intriguing cover and title. Room wasn’t my favourite book, but the historical/magical realism combo vibes I’m getting from this meant I couldn’t resist picking it up. Off the top of my head I can’t remember the exact plot of this one, but so excited to read it! Pretty cover, intriguing title and a synopsis that made me choose it without checking Goodreads? Must be a good’n. These four books are to fill my crime addiction! The storyline just sounds so wonderful, looking forward to digging into this one. Heard a lot about this series lately and figured why not actually give it a go for myself! I’m not over dystopias yet! What can I say? I’m a sucker for anything which has reviewers (on Amazon in this case) using the words ‘timey-wimey’. I know pretty much nothing about this story so quite excited to give it a go. I’ve read a few chapters of this and found it difficult to get into, but am going to try again! This one looks so funny, great premise. What are you reading at the moment? I’d love any recommendations you have! Waiting on Wednesday is a phrase I’ve heard a lot from book bloggers and is a meme hosted by Jill at Breaking The Spine which focuses on the awesome books that people are looking forward to reading. I’ve decided to join in with Waitin g on Wednesday as there’s a book I’m super excited for that I’d like to talk a little bit about and figured it was a great opportunity to pre-schedule a post while I’m away from the computer. The book I’m waiting for? Isaac Marion’s The Burning World. It’s the second book in a series combining Romeo and Juliet with the horrors of a zombie apocalypse, starring our own favourite zombie R.
The first book, Warm Bodies, was very good and spawned some interesting questions on human nature (as well as an, in my opinion, less interesting movie adaptation). It’s a few years on from when I read Warm Bodies and was very happy to learn that there’ll be a follow-up soon. Looking forward to reading this one next year!